I think that most of you will agree that I'm probably correct in proclaiming that this release has been the most anticipated album release by any British band of the melodic rock genre for more than a decade. At the time, FM were most people’s darlings of that wonderful musical decade of the 1980's and although things got pretty tough for the band when musical tastes began to alter, they still soldiered on, still delivering quality music until the mid 1990's when the scene finally got the better of their efforts and they sadly decided to go their seperate ways. Well, since that day the ghost of FM has remained somewhat restless, what with the entire back catalogue being repackaged, including bonus tracks, and released on the Escape and Bad Reputation labels respectively, and also fueled by the odd whisper that the bands reformation was imminent. 2007 finally saw the band back with a bang and to critical acclaim with that year’s unforgetable Firefest performance at Nottingham's Rock City which whetted peoples appetite's for more FM product, and after a repeat perfomance at Firefest 6 last year, the guys have finally been forthcoming with a belated new album. 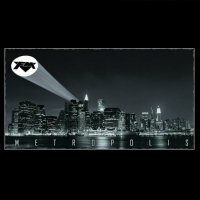 Although the release of 'Metropolis' has been delayed by a few months for reasons outside of the band’s control, it gave them time to remix some of tracks that they weren't totally happy with and I think the end result is something which all long-standing fans of the band will be content with, and although sounding very fresh and modern, it still has all the hallmarks that made FM the British AOR icons that they are. Opening this platter is the indomitable 'Wildside', which was the lead track of the EP that came out late last year and sees FM at their heaviest and darkest. Consequently, it is the guitar playing of new member Jim Kirkpatrick, coupled with Steve Overland’s unmistakable trademark vocals which really gives the song the shot in the arm that propels it to the stylish melodic rocker it is. Reverting to the more familiar FM territory are the following tracks 'Hollow' and 'Unbreakable', 'Hollow' is an old song of Jim Kirkpatrick's (indeed I've seen him play an acoustic version of this in one of my local pubs!!) and has been totally revamped for the 'Metropolis' album and is an intensely satisfying mid-paced melodic rocker. 'Unbreakable', for me, pretty much sums up the entire career of FM. It is a song blessed with strong and meaningful lyrics, a memorable chorus and a good acoustic section that rounds off a truly great track. Strangely enough, 'Over You' is a song that almost never made the final album listing. Although composed during the album writing sessions it was believed by the band not to be in the same vein as the rest of the 'Metropolis' material, but thankfully the band listened to many of those who had heard the track beforehand who had unanimously agreed that this was a killer track and should not be overlooked. My favourite song however is the remarkable 'Bring Back Yesterday' and if there has been a better melodic rock song written in the past few years then I haven't heard it. It’s simply one of those songs that grabs you from the very first listen and makes its mark with recurring plays. You can expect more of the same with the Bryan Adams-esque 'I Ain't The One' and the melodically pulsating 'Who'll Stop The Rain', the former having a really catchy hook and a powerful melody whilst penultimate track 'Who'll Stop The Rain' sounds very much like their material from 'Aphrodisiac' and has instant hit written all over it. Bringing down the curtain on 'Metropolis' is 'The Fight Goes On', a very melancholic and moody seven minute epic of a track and I must admit, I wasn't sure about this song at first but the more I played it, the more I began to appreciate its haunting and resonating formula. It isn't very often that an album comes along that stirs up this kind of interest within its own musical genre but I believe this is one such album and I think in summary, I can safely say that FM have simply out-done themselves with this album and as a big fan for many many years I'd even go as far as to say that this is their best album to date. Its been a long time coming but FM are back, and its been worth the wait!